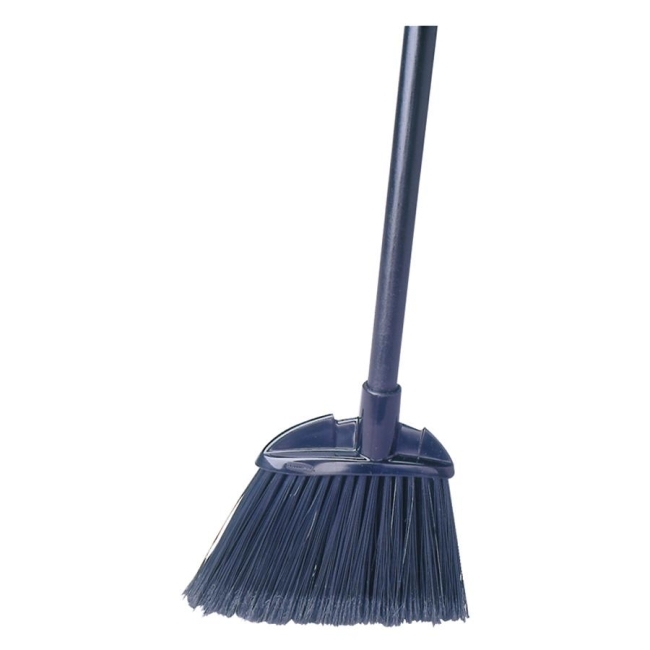 Lobby Broom is ideal for cleaning under furniture, fixtures and other hard-to-reach areas. Tough polypropylene with flagged bristles model helps trap fine dirt particles. Polypropylene fill is durable. Good abrasion-resistance and shear/break strength. Will not stain, discolor or absorb odors. Resistant to solvents, acids, oils, fungus and bacteria growth. Can be used wet or dry. Lobby broom offers a vinyl-coated 28" black metal handle. Can be used wet or dry. Works well with Lobby Pro Dust Pan (sold separately).